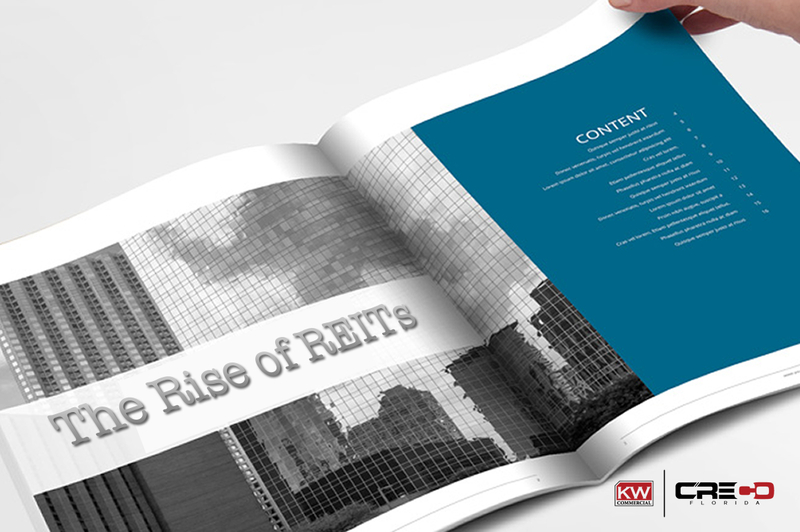 REITs have become a standard investment vehicle over the past twenty years. The rise of the common REIT is attributable to the efficient and liquid mechanism that they provide to ordinary investors hoping to own a part of the country’s real estate assets. But with the advent of online investing and the inundation of the marketplace with tens of thousands of REITs to choose from, prudent investors may wish to narrow down possible REIT candidates by sector or market niche. We all accept that the general population has become more educated and aware of financial transactions as the digital age permeated society over the past two decades. As this information gap shrinks, the main street investors became mindful of the fact that commercial real estate represents a sound investment. This desire for an ordinary investor to want the advantages associated with commercial property – combined with the ease of which REIT shares trade between parties – create a robust market for REITs to grow. These days, almost all investors are aware of what a REIT is and what advantages investment in a REIT represents – dividend payouts, tangible assets, value appreciation, etc. With the investment benefits clearly outlined by the REIT industry, a savvy investor must determine which REIT best aligns with his or her individual investment objectives. What are specialty REITs and why are they ideal buyers of commercial real estate? 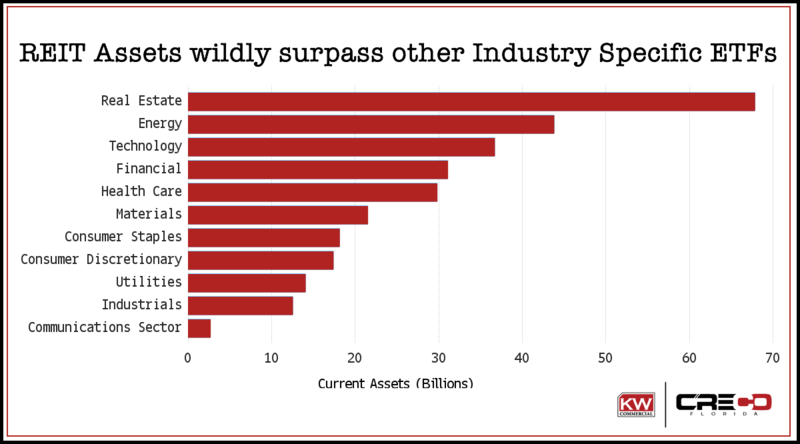 Primarily due to the REIT industry’s tremendous growth over the past twenty years, there are thousands of REITs for an investor to select. But where to start? Initially, we scoured the REIT industry for sub-markets and industry-specific niches that may best elevate one REIT over another. KW Commercial prefers to work with specialty REITs when representing a Seller of a specialty project. Niche oriented REITs hold specific competitive advantages established via specialization and laser focus of resources. For example, Keller Williams Commercial represented the owner of a student housing facility. Besides hoping to maximize the selling price, the client was interested in a swift and hassle-free transaction. KW CRECO turned to Austin-based American Campus Communities Inc. (ACC) as a potential buyer of the project. As a specialty REIT, ACC focusses on student housing in and around college campuses. As college becomes more commonplace throughout American culture, campus populations are rapidly expanding, leading to a growing trend of independently operated housing servicing university students. Many primary and secondary schools have found it financially beneficial to allow outside companies to assume the debt generated by housing projects – allowing the universities to reallocate financial resources towards other academic-oriented facilities. Operating out of Austin, TX, ACC is the nation’s largest developer and manager of private student housing. Over twelve years ago, ACC became the very first student housing REIT and continues to hold a position as a segment leader and innovator today. Specialty REITs such as ACC benefit from built-in demand and full absorption of all developed product. As long as new generations of young people continue to go to our nation’s large universities, ACC will continue to provide them with housing. This long-term demand forecast promotes the notion of investment stability and longevity while achieving at or above market returns. Unlike some individual investors, specialty REITs such as ACC acquire properties quickly and based on long-term investment strategies and often become the ideal purchaser of niche-related commercial real estate projects. Mortgage REITs can actually lend you money. There are two types of REIT within the primary commercial real estate market – Equity REITs and Mortgage REITs. Unlike regular REITs that own real estate properties such as shopping centers, medical office buildings, or student housing structures, mortgage REITs (mREITs) do not own any physical property. Agency REITs focus on providing debt which is issued and guaranteed by Fannie Mae, Freddie Mac or Ginnie Mae. Individual property investors seeking alternative funding sources for non-traditional borrowing scenarios, will not qualify for an agency loan. Therefore, most KW CRECO clients focus resources towards non-agency mREITs. These REITs invest directly in commercial asset-based mortgages and commercial real estate loans and will issue debt as rated and unrated CMBS, mezzanine loans, subordinated securities or construction and rehabilitation loans. Additionally, mREITs may participate in loan securitizations which smooth the borrowing markets for many of our clients. The goal of an mREIT is simple. These specialty REITs profit from the spread between interest rates earned on issued mortgage loans and their short-term cost of capital. Unlike a traditional equity REIT, the value or income derived from the underlying commercial real estate does not impact the profitability of the REIT. For example, an mREIT that earns net interest income of 3% on its mortgage assets but only pays 1.25% to borrow money to buy those assets will earn 1.75% as a return on invested capital (ROIC). Interested in finding out more? Visit The National Association of Real Estate Investment Trusts to browse research, data, and a directory of all publicly traded Real Estate Investment Trusts. NAREIT also allows you to search for REITs by specialty, geographic location, and other operating metrics.